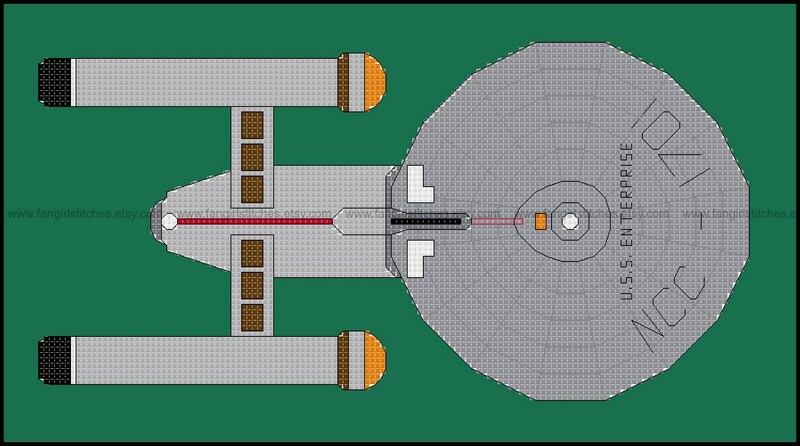 Travel the stars, visit other worlds, boldly go where no man has gone before with this USS Enterprise cross stitch pattern! 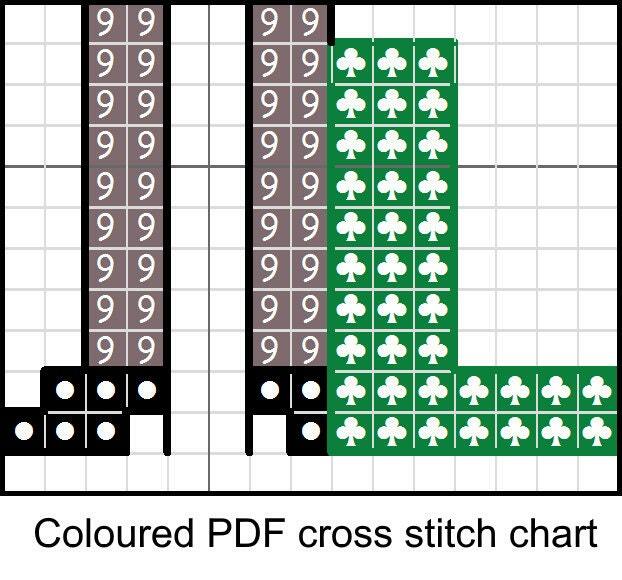 This design includes whole stitch, fractional stitch, and backstitch, and is suitable for beginners wanting to stretch their skills. 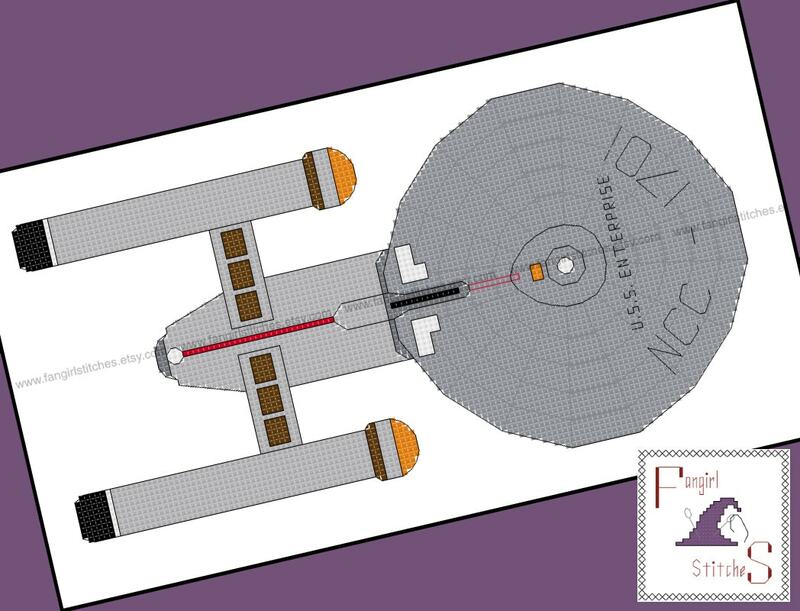 The pattern comes with two colour charts, including a backstitch chart and full instructions. The floss chart is DMC and Anchor, although of course you can adapt it to suit your preferred brand of threads.